On a recent post I talked about how you can prepare your own solutions for the calibration of your pH meter. However hydroponic growers not only need to calibrate their pH meters but they also need to use EC meters to control their growing environment. 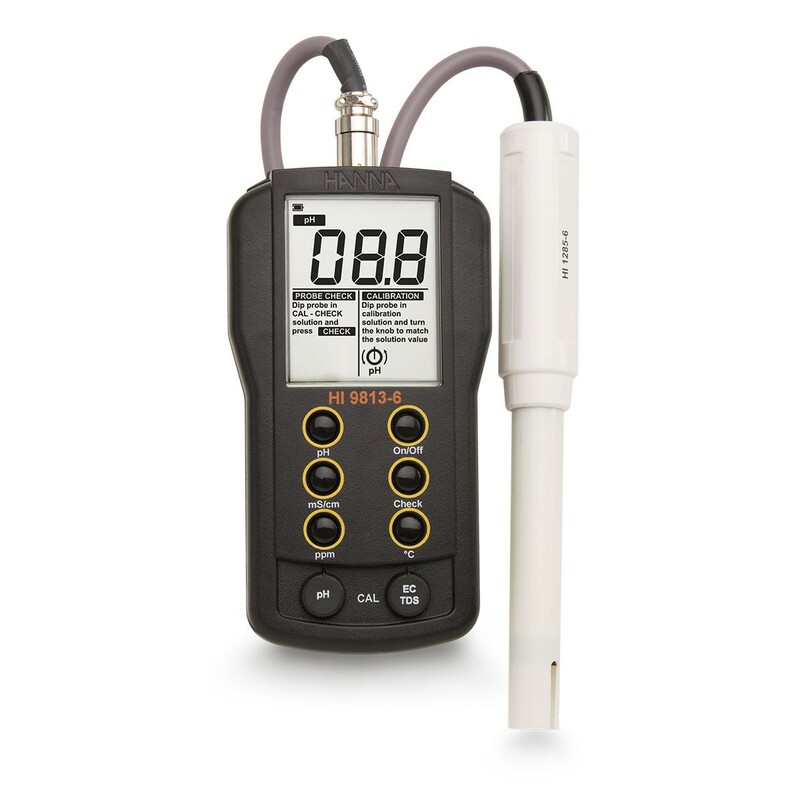 Today I want to talk about how you too can prepare solutions for the calibration of your EC meter so that you don't need to depend on expensive commercially prepared solutions for EC calibration. I will also give you some important tips about how to maintain these solutions so that they last for a longer time period. As in the case of pH meters the correct calibration of an EC meter ideally requires the use of two solutions. Most people however use only one solution or use two solutions in a rather wide range. Ideally both solutions would need to be within the range in which we would want to measure so ideally we would want to have solutions in the 0.5-3.0 ms/cm range for the calibration of an EC meter used in hydroponic. We also need to make sure we use substances that show both a linear relationship between EC and concentration and that do not affect the pH of the solution considerably as the EC can also vary significantly with the pH of a solution. As in the case of pH meters the easiest - but definitely not most analytically correct - way to carry out this preparation is to work with a calibrated EC meter to start with. In order to do this buy a single calibration solution so that you can ensure that your EC meter is at least calibrated properly over a single point. After the EC meter is calibrated we will use it to prepare a calibration solution with a specific EC level that we can then use for calibration. Since there is nothing special about any specific EC points - not the same case as with pH electrodes where pH 7 is the electrodes isoelectric point - preparing EC calibration solutions is easier. Start with a water source - can be tap, RO or distilled - and add around 1g per liter of NaCl, you can use any store-bought variety to carry out this process (the small amounts of additives won't affect this process significantly). This should give you a conductivity reading in the range that is generally used in hydroponics, depending on your tap water it should be somewhere between 1.5-2.5 mS/cm. You can also prepare another solution with 0.5g per liter of NaCl which should allow you to perform a two solution calibration. Note that the addition values do not need to be exact. If you are using tap water make sure you let it sit for around a day before using it so that any chlorine is eliminated from the water. After preparing the solutions take note of their EC levels, these are the levels you will use for calibration. 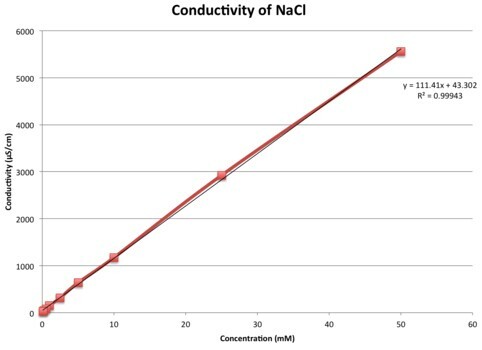 A problem with EC solutions is that they have a fundamental dependence on the concentration of ions in solution and cannot compensate for this so the EC values will vary and become unknown if you let the solutions evaporate. When storing EC solutions it is therefore important to use airtight containers and additionally put electrical tape around the cap after every use, this will make sure that the loss of ions within the bottle is minimal. After some volume of solution is used make sure you discard it and never put it back inside the same bottle. As in the case of pH meter calibration solution preparation this is definitely not the way in which these solutions would be prepared in a lab - as you can prepare solutions with extremely accurate predicted conductivity if you have very pure salts and double distilled water - but it's a very good way to create cheap calibration solutions that offer low enough errors to allow for their use in hydroponic culture.